Orbicularis oris is the primary muscle of the lips. Though it takes 10 other muscles to talk, and many more to make facial expressions, a ventriloquist scoffs at the need for facial muscles. 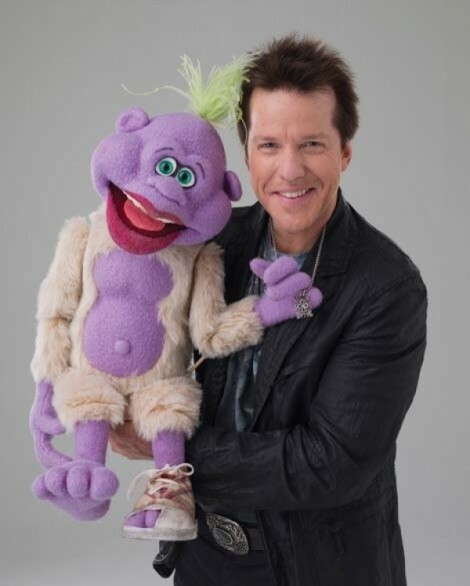 At 12, Jeff Dunham taught himself the ventriloquist skill and since has become one of the world’s most prolific stand-up comedians. Dunham is the straight man to the “puppets” in his politically incorrect shtick. The crew of faithful crate-dwellers include curmudgeon Walter, hyperactive Peanut (pictured), Jose Jalapeño “on a stick,” and Achmed the Dead Terrorist. Puppets Diane and Achmed Jr. were added to the Identity Crisis Tour in 2010, the same year Dunham’s autobiography became a best-seller and he became America’s top-paid comedian. He still tours relentlessly. That’s the only arena for his self-deprecating cracks, political jabs and off-color ethnic pokes that make a laughing audience use considerably more face muscles than he does. Jeff Dunham: Identity Crisis Tour @ EnergySolutions Arena, 301 W. South Temple, Jan 19, 7:30 p.m., $43.50, SmithsTix.com.